The Monorail just hit our games. After a long time since Homer asked for it on New Year’s Day 2014 and many people have too everywhere. It’s finally here. Are you ready for a quest full of recycle? Join us right after the jump for the complete walkthrough for the main quest of the first Quest Chain. The story starts with the building of the Springfield Dump, the first major building of the event. This town is filthy! We built all these dumpsters and garbage cans, but no way to empty them. I used to lure in customer with the smell of hot dogs. But the stench of week-old decaying meat… it just can’t compete with the smell of all this trash. I used to be able to find my house on account of all the trash piled up in front of it. But now that’s every house. I got no idea which one is mine. I’ve been wandering around on the streets for weeks. We need to build the town dump. Good idea, sweetie. Is there room right next to Flander’s house? Okay, we’ve got a place to put our trash. Now we just have to get it there. What about a garbage truck? No. Even if we built one it wouldn’t move. What we need are garbage men. According to the government roster that’s, er-ah, you. Yes, you’re the town’s Sanitation Commissioner. I vaguely remember being that but didn’t I lose that job, or give it back or something in the end? No, it ended with you destroying the whole town and us having to rebuild it. Excuse me, good people! But have you ever thought about building a monorail in this town? We have and we did. You sold it to us and it bankrupted our town. Really? Well then, where is it? Nowhere now. The town got destroyed and we had to rebuild it. Well maybe I can convince you to buy another, with an elaborate song and dance! Not so fast, Sanitation Commissioner. That dump still needs stuff dumped in it. Everyone else, join us for the monorail musical! It looks like it might rain, though, so let’s do it inside. A hologram of Dr. Dre sang a duet with Dr. Dre! I stabbed my foot with the pointy stick while picking trash. It’s decided. We’ll raise the money to build a monorail! Great, I can help fundraise! I’m really good at getting people to part with their money. Just ask Sky Finger. Good work, people of Springfield! You’ve raised enough money to purchase the materials you need to build a monorail. And put it all in an envelope, which you’ve handed to me. Now for one last performance! Aw, and I was really excited for him to be a permanent part of our town. So when Ol’ Gil shows up trying to sell you stuff, you can’t chase me out of town fast enough. But this guy takes off with all your money and you wish he was permanent. Ol’ Gil wants a permanent home! What about Ol’ Gil? You want me to take care of this guy? No Homer, we’ve got it. That’s it! This cool monorail story is going on, with people appearing and disappearing, and all I’m doing is picking up trash! Wait, did you say rivet? Those were on the list of supplies we needed to build the monorail. 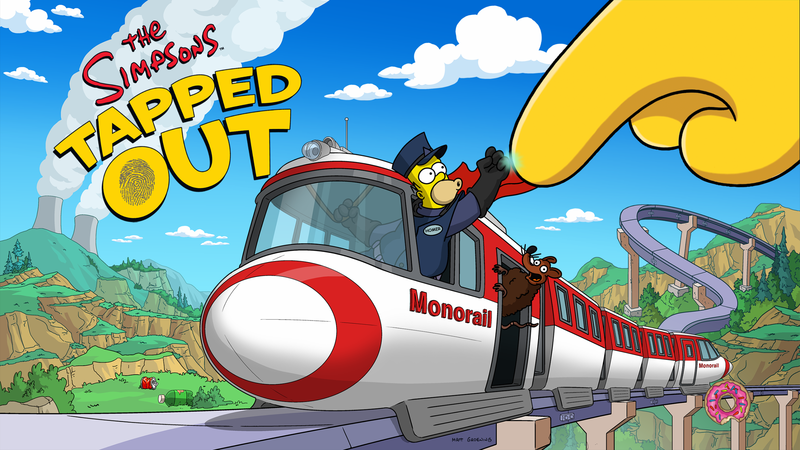 I bet if we collected enough junk around town, we could get all the supplies we needed for the monorail. So you’re saying that picking up trash is now important to the story? Yes, and you’re the Sanitation Commissioner. Is there anything we can do in exchange for your help? Yes. Make me the monorail conductor. I’m tired of being a glorified garbage man. I want to be a glorified bus driver! Lyle Lanley unfortunatly disappear from our city, right after stealing all the money and poor Gil gets chased out after always offering us weird and not always great promos. But the main event of… the event starts next. Now that we’ve got the materials for the monorail, we just need someone to oversee its construction. Don’t look at me. I’ve already got two jobs. Did someone call for an engineer? What? No! I’m the egghead around here. What kind of engineer even are you anyway? I can get your monorail operational. But first I’m going to need more finely-honed monorail parts. Um… so far we’ve just been collecting junk. System Message: Hand in resources at the Project Board and help Sebastian Cobb build the Monorail! System Message: Way to go! Remember to hand in Projects every day for huge bonus rewards! 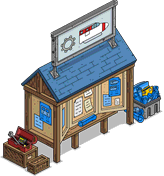 After unlocking the 1st prize, the Monorail Station, you can keep collecting Blueprints to unlock more prizes, including Ray Patterson. Meanwhile the collection of recycle continues as we build the Metal Depot and start visiting our friends, completing the questline for act 1 of the event. Hey guys, what if we sorted our trash first? It could really improve what we’re doing for the environment. Hmm, the girl does have a point. Separated-out metal could be quickly and easily manufactured into components. And that would save us money. Now that’s the kind of green this town can get behind! This recycling thing isn’t so hard. Let’s see… batteries are cans full of battery acid. And motor oil is pretty much just liquid plastic. And these glowing radioactive plutonium rods from the nuclear plant are… hmm, let’s call them paper. Dad! You can’t put that stuff in the recycling. Or the trash, for that matter. Then what I am supposed to do with it? Join us later for more info on this event, happy tapping!